If you like to play online, you can connect to your friends and compete against each other in real time, as well as connecting to random opponents via Game Centre. Featuring 3 Game Modes, Online Play and Online Leaderboards this could be one to watch. The Game has already attracted the attention of Maxim Magazine who rate it 4 out of 5 stars. I've sourced some of the best reviews for this game and they all acknowledge that it is IMPOSSIBLE TO PUT DOWN. 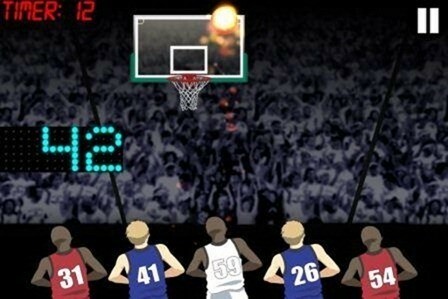 So if Basketball is an interest, if you're competitive, or if you just love a well made Iphone game than check out Basketball Hotshots.